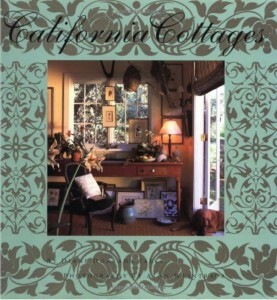 Did you know Mary Engelbreit wrote a book where she shared her storybook home and gardens? I was late in learning this, her book had already been out a few years. I’ve always liked her whimsical, spirit-lifting art and I enjoyed her magazine when it was available, but I had no idea what to expect when I ordered the book she wrote sharing her own home. After it arrived, I loved it so much I immediately ordered two more of her books. You know how I’m always saying the decor books written about a designer’s own home are always the best? Well, that holds true in spades for this book about artist, Mary Engelbreit’s home. Every page is a delight! When you see the outside of her home, you’re going to melt. It is storybook wonderful and the way Mary has decorated inside is just as enchanting! I wasn’t sure what to expect when I ordered this book. I was a little afraid it would be cutesy overload. It isn’t. Mary’s home is a perfect balance of cozy cottage stirred with a dash of whimsy. We even get a peek into her studio where she makes all the magic happen. And between you and me, I’m pretty sure the red box on the shelf labeled “Tiny Reference Stuff” is where she keeps the fairy dust. Yup, pretty sure! The outdoor spaces are magical, especially the gazebo and the playhouse. I absolutely love her garden gates! Just a wonderful, enchanting book from cover to cover. 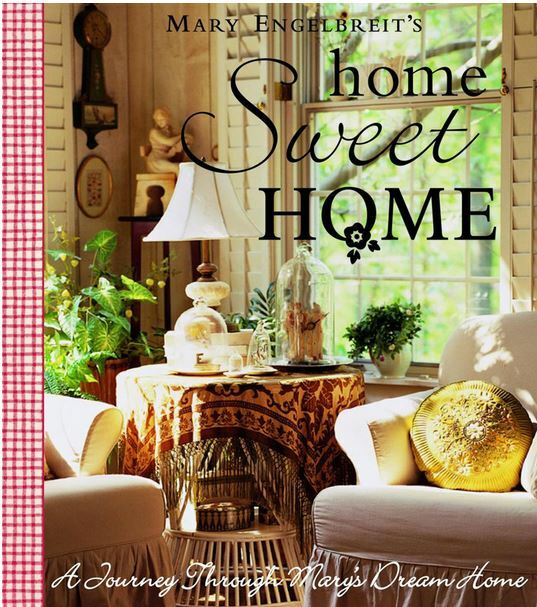 You can read more about this book, Home Sweet Home: A Journey Through Mary’s Dream Home at Amazon where I normally buy my books, via the picture link below. This book I have. Signed. She’s a local. I also got to tour her house when it was a part of a St. Louis Home Tour. After seeing her house I came home and wanted to spit on mine. lol Pattie, you are hilarious! I am sooooo jealous that you got to tour that home! I bet folks were lined up for miles to get in to see it! I swear, if it came on the market, I just might move all the way from Georgia to live there! 🙂 It truly is a storybook house, isn’t it? I don’t think Mary lives there now, does she? I was thinking I read she had moved. It would have killed me to move from that house! I fell in love with ME many years ago and have a ME corner in my kitchen. I had one of her lovely teapots, but it got knocked off the shelf and cracked, so I put it up. After her long illness I am thinking she moved to a smaller house and by that time her granddaughter was grown. Not sure, but think that’s what I r ead on her blog when I used to get it. I wish I had some of that talent. I know, me too! Can you imagine having her as a grandmother and living in that house. It would have been magical growing up there! 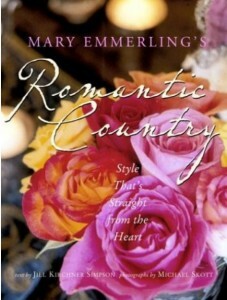 I’ve been a fan of Mary’s since discovering her greeting cards back in 1987 and I have every book including this one. I miss her magazine and her home decor products which aren’t produced much anymore. I think after the loss of her son and the raising of his daughter, her priorities changed and she scaled back on the business end. I still follow her blog and she seems truly happy these days as she explores new ways of releasing her wonderful talent. Her house in this book is magical. I don’t know if she still lives there. I could live out my days in that charming cottage! That was heartbreaking about her son, something no parent should ever have to face. I admire her strength! I miss her magazine, too! I know, the house is a dream home. I love how she tells the story of finding it and eventually making it her own. Hi Susan, I have her “Here Comes Santa Claus” book. Our library has a sale once a year and I collected it from there very cheaply. It is a cute book with recipes, painting patterns etc. I bet her cottage is lovely. Megan, I don’t have that one but it looks really cute. I love ME!!! “Life is just a chair of bowlies!” Is my favorite of her designs. She is so gifted. She still sends out emails once in a while. I have given the ME calendar to my friend, Sheri, for Christmas for too many years to count. I will definitely add this book to my growing collection. You may have to start subsidising my new addiction since it is all your fault!!!!!!! lol She really is…so creative! Oh Susan, I am so glad you featured ME. I have loved her since she first started her career. I have all her books and had all of her magazines. But I recently had to get rid of a lot of the magazine as after while they effect my COPD. But I did keep ALL of her books. I can’t believe her granddaughter is all grown up. Every time I would go to a different city I would always look for a ME store and such wonderful delights she had. I still have quite a few items of hers. i saved all the paper doll and pictures she had in her magazine. I gave the paper dolls to my granddaughter and decorated her bedroom with the pictures from the magazine when she was little. I also purchased so much of her fabric (which I love) and have made quilts, and curtains out them. When cleaning out my guests bedroom’s closet and I found a whole lot of her material that I forgot about – I did a happy dance yea yea yea. Thanks so much for nudging my memory. Have a great weekend. 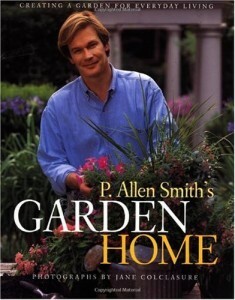 Hi….I do not have this book and it looks wonderful. Funny thing is that I spied that banjo clock on her wall and I have the very same clock. We inherited it from my Mother-in-law when she passed away many, many years ago. The sad thing is that my Father-in-law, took out the wind up parts and installed a battery…why I will never know. Tucked inside was an old love letter to his soon to be wife…from around 1928/1929..short but sweet. I saved most of her magazines and now do not know what to do with them. I just have so much “stuff” and it is time to weed out. I really love all of Mary’s items..she is so talented. It is so sad about her Son…but so wonderful that she has had Mikayla to raise and love. For anyone interested, I just bought this book on Amazon for $11.99. It is used but said to be in “good condition with very little wear”. I have purchased several of Susan’s recommend books as used books on Amazon and have been very pleased with the conditions of the books. Can’t wait to get this one in my hands. Linda, that’s why I love Amazon. I’ve purchased so many amazing books on there for just a few pennies. I just bought two of Mary’s books this week and they were listed in “Very good condition” and ” Like New” for only 1 cent plus shipping of $3.99. Every now and then I splurge on a new release since they are often discounted heavily just prior to being released. A few weeks ago I ordered Sarah Richardson’s very first book, Sarah Style, that isn’t due to be released until November. I love her beach house so much that I have a feeling her book is going to wonderful! While I was shopping, I also got a couple of books on plantation architecture and plantations that are gone in Louisiana. So many of the pictures were made in early 1900’s. There is a lot of history told about each plantation featured. One of the books I saw in the bookstore we browsed through in the French Quarter and I paid a fourth of the price on Amazon. Amazing! I also got an ME cookbook. Watched Midnight in the Garden of Good and Evil last night and remembered out talk about it. I had forgotten how good it was. 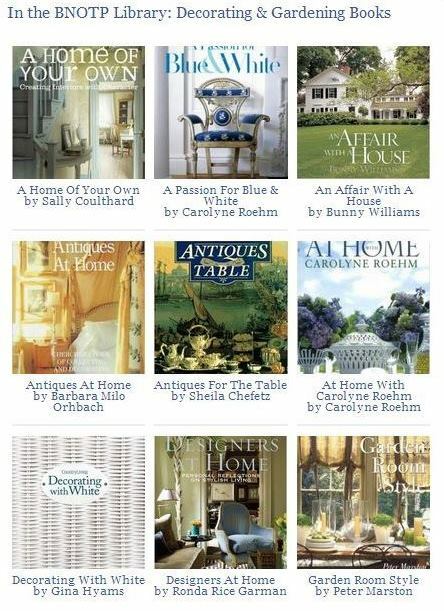 Susan, you mention Sarah Richardson, she is one of my favourite designers, must look out for that book. Mine, too! I loved her beach home and how she decorated it. Can’t wait for her book to come out! I have this book and LOVE it…I was just looking through it a week ago. She did move. Her new home was featured in a magazine…I don’t remember which one. 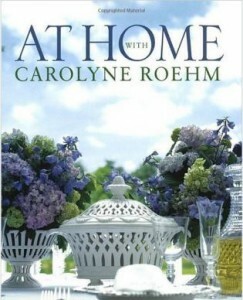 Her new home looked lovely (of course), but the home featured in this book is still one of my favorites!